The Godfather meets the TV series Las Vegas in this collision of money and power. 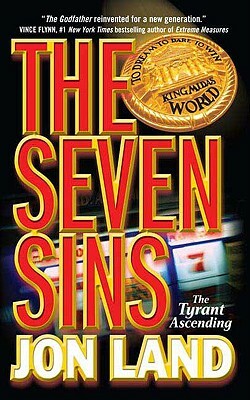 The owner of a newly built casino and hotel, The Seven Sins, Michael Tiranno uncovers a plot to destroy Sin City. The mastermind behind an attack on his property and others on the Strip has a personal vendetta against him. As a child in Italy, he watched as his family was murdered; later, he was taken in by a relative, whom he later realized was the head of a major Mob family. Tiranno thought that by changing his name and severing all ties with his past, he had successfully created a new identity for himself, but who else but someone with a grudge would know about his background and go to such great lengths to see him fail.